France/Israel Relations: A “Fait Accompli” disguised as an Ultimatum! 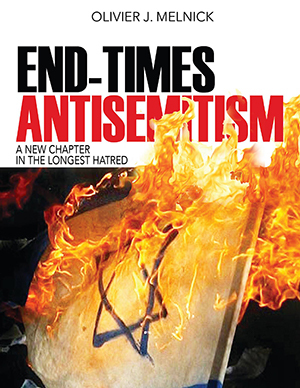 You are here: Home / Antisemitism / France/Israel Relations: A “Fait Accompli” disguised as an Ultimatum! French foreign Minister Laurent Fabius wants to revive the talks between Israelis and Palestinians in an effort to come to an agreement regarding a two-state solution. Mr. Fabius is hoping to be able to break the current deadlock. Peace in the Middle East has become some sort of “Holy Grail” in global diplomacy. Some key players like the United States and several countries in the European Union have tried–to no avail– to play their role in bringing peace to the region. France is at it again with Mr. Fabius “ultimatum.” I would commend France for such an effort if it wasn’t so one-sided. It is obvious that France is biased in favor of the Palestinian since nothing is expected of them. As a matter of fact, why would they do or say anything since Israel failure to comply will get them statehood recognition from France? Is it possible that Mr. Fabius knows full well that the talks will amount to nothing if in fact they resume at all? If this is the case, then Mr. Fabius could be accused of moving forward with in tent to fully fail, only for the purpose of recognizing Palestine. This is not only biased, it is also a very coward move by France. Seriously, if you want to recognize Palestine, just say it since all your deeds already point towards it. Everything already lead us to believe that France doesn’t care much about Israel and/or the Jewish people. Currently the third largest Jewish community in the world after Israel and the United States, France is losing its Jewish community fast. Almost 16,000 Jewish people made Aliyah from France in the last 2 years because of antisemitism. As a matter of fact, up to 25% of French Jews have expressed their desire to move to Israel. That is between 100,000 and 125,000 people. Laurent Fabius’ decision to recognize Palestine shouldn’t surprise the Jewish community. Frankly, I am surprised that it hasn’t already happened. It was Sweden that lead the pack within the European Union in 2014, and first recognized Palestine. Diplomatic relations between Israel and Sweden have been hurt as a result. Today, Sweden continues to widen the gap by allowing more antisemitic acts to freely take place within their borders, such as the publishing of schoolbooks where Israel doesn’t exist. This is just one small–not so influential–country of the EU that has recognized Palestine. France, on the other hand is a major international player. 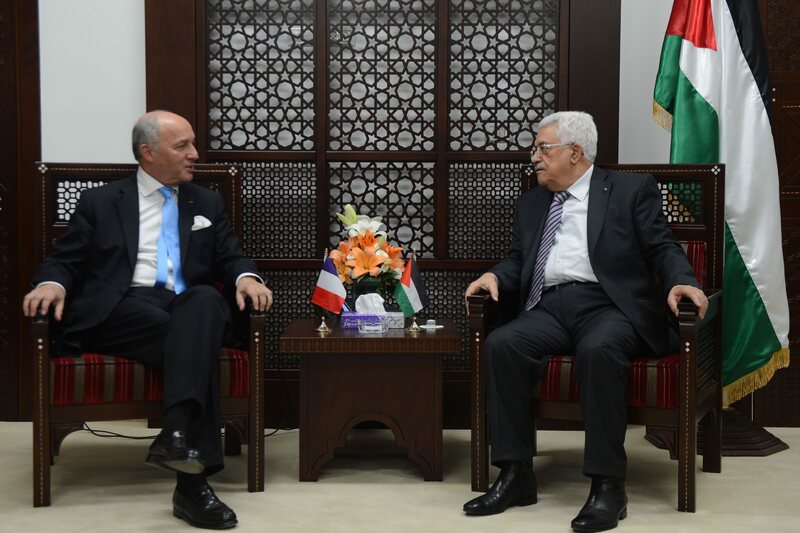 If Mr. Fabius goes ahead with Palestinian recognition, many more European countries will undoubtedly follow suit. France’s hypocrisy is so painful to watch. One one hand, Prime Minister Manuel Valls declared that France without her Jews would no longer be France, and on the other hand, Foreign Minister Laurent Fabius decides to slap Israel in the face with a “damn if you do/damn if you don’t” pseudo ultimatum. This would already be wrong if both Israel and the Palestinians were equally at fault. This makes the decision even more imbalanced when one consider the terror dispensed by Hamas and Fatah on a daily basis. Was Hamas asked to stop the violence? No! Was anything said about the numerous knife stabbings of the last few months? Not really! What is so tragic about France’s one-sided decision to recognize Palestine with no strings attached and no accountability, is that it isn’t going to stop the violence. On the contrary, it will most likely embolden the Palestinians and encourage them to pursue terrorism. Even though the spokesman for Palestinian President Mahmoud Abbas, said” There is no doubt that a French recognition of the Palestinian state will contribute to building peace and stability in the region”, we know that the opposite will happen. After all, if all that they are doing to Israel is rewarded with statehood, why stop now? Very sad times we live in. Very prophetic times we live in. Jews are being called home to Israel – whether from a stirring in their hearts they don’t quite understand or being forced out by thier “homeland”. There will be no France without her Jewish population.